The projects are done through the Good Samaritan Project. Catholic high school students are giving up a week of their summer vacation to do service projects around Tampa Bay. 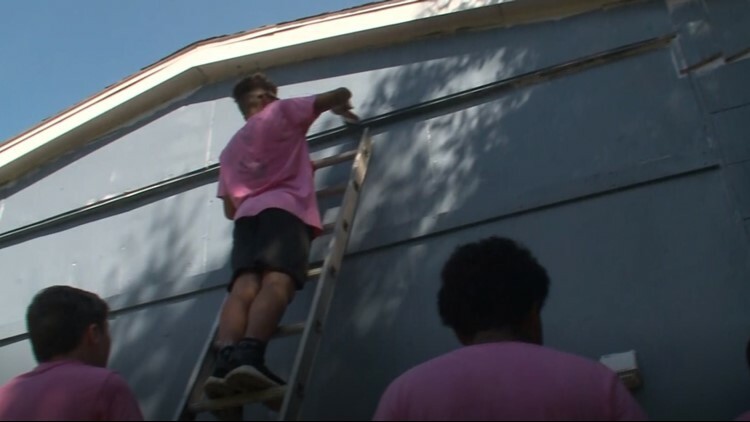 On Thursday, a large group of those students went to Clearwater to paint the house of an elderly woman whose home was damaged by Hurricane Irma last year. On Friday, students will be restoring the Veterans Tribute Garden at ServiceSource on Whitney Road. The nonprofit organization provides rehabilitation and employment services for people with disabilities. Both of these service projects are part of the Good Samaritan Project, which aims to help our local community. Click here to learn more about the initiative.